Question: A few years ago, I asked the Lord to baptize me in the Holy Spirit, and I believe He did. I have more joy and more power to live a godly life than ever before. But I didn’t get the gift of speaking in tongues. Do you think it is really necessary for the Spirit-filled believer to speak in tongues? I want all God has for me, but I’m just not sure that includes tongues. P.C. 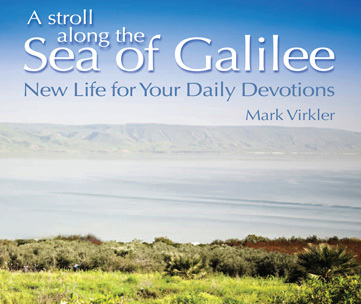 Answer from Mark Virkler: The testimony below, the free booklet, and the streaming training video explain why I believe the baptism in the Holy Spirit and the gift of tongues is for everyone who seeks it. Mark, you prayed with me and my friend, Charlotte, last Friday evening (in Cleveland), to receive the baptism of the Holy Spirit and to receive the gift of tongues. I have been saved for almost 23 1/2 years. I've known about the gift of tongues for a long time, but just never thought it was for me. I just wanted to let you know that all through the weekend, after getting home, I was saying syllables in my head (i.e. ta ta ta, ma ma ma). Sunday evening, as I was getting ready for bed, I started saying them out loud. I went in to my bedroom and I turned off the light and sat on the edge of the bed...and the Holy Spirit started flowing out of my mouth and I have not stopped since then. I am so amazed that the God of the Universe would give such a gift to me! I am praising and thanking Him. I want to thank you for praying for me. You did not make me feel stupid for not "getting it" after praying. You just encouraged me to press on. May God continue to bless you in your ministry. Question from Mark: So am I to understand that these syllables (i.e. ta ta ta, ma ma ma), were you simply priming the pump by repeating simply nonesense syllables over and over, with the goal of seeking to loosen control of your tongue from the mechanical claw of your brain, so that your heart could take over? Eventually your heart kicked in and the “flow” began, and you began speaking in tongues. Response from Darlene: Yes, I believe that was the case...those syllables were priming the pump so to speak. Thank you for the clarification. I will use that when I am trying to explain how it happened to me. 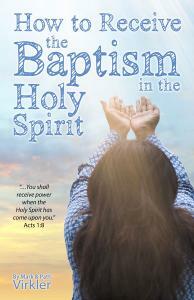 Click Here to request a free PDF copy of our booklet How to Receive the Baptism in the Holy Spirit. Click here for the training package on How to Receive the Baptism in the Holy Spirit. Click here for a blog on health benefits of speaking in tongues. Discover How You Can Easily Hear God's Voice! Submitted by Anonymous on August 27, 2018 - 10:29. Dear Mark Virkler. Is it possible to baptize myself or do it have to be another person? Submitted by Mark Virkler on August 27, 2018 - 12:43. You can receive the baptism of the Holy Spirit by asking and yielding and receiving in faith, and stepping out and speaking in tongues. Submitted by Anonymous on August 27, 2018 - 14:41.